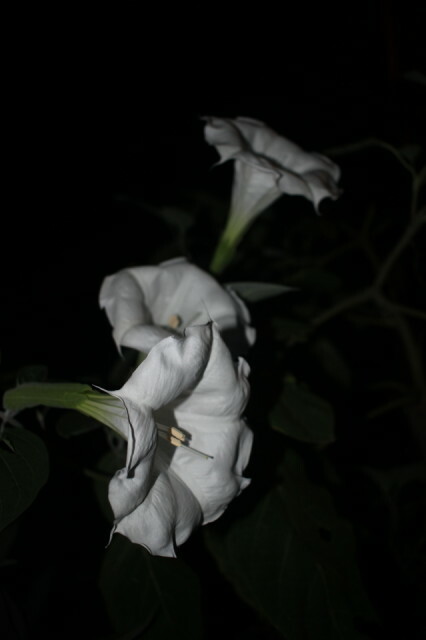 I knew I had three buds on the moonflower that were close together but I did not think they would all bloom at the same time so it was a good thing I looked out the back door for whatever reason last night or I would have missed them. Very unusual to have three blooms at the same place on the plant to get a photo together..mostly one here and one there. And they smell really good.